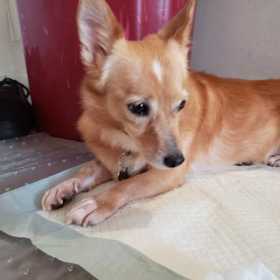 Max is a 5yr old Corgi mix, spayed female with reddish Brown coat. She has straight ears, she looks like a fox. Red collar with dog tag information. Max is micro chipped, she is a very skiddish dog and will run if approached.